As you may already know I am a huge Roald Dahl fan and I especially love The Twits even though Mr and Mrs Twit are truly vile! 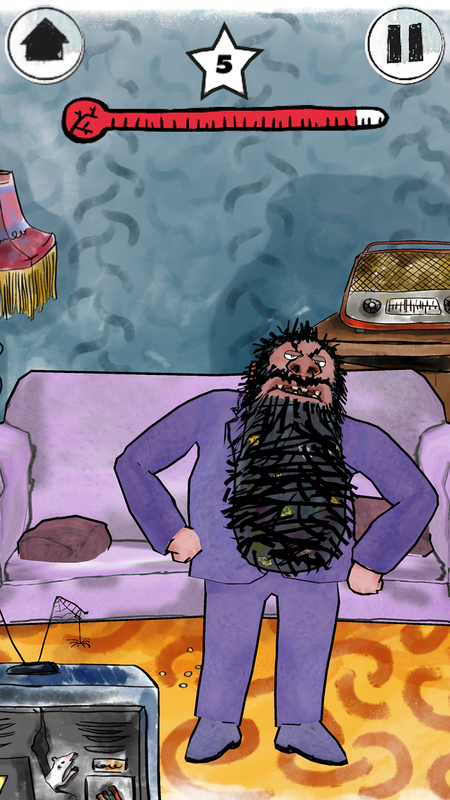 (read my review of the book and see our Mr Twit beard here) so as you can imagine I was very excited to hear there was a new App available that you can play where you travel through The House of Twit. I have been waiting and waiting to download this as I am only allowed to go on the internet and play games occasionally and then my Mum’s tablet broke so I had to wait even longer. My Dad finally agreed I could put it on to his phone yesterday and I am loving playing it. 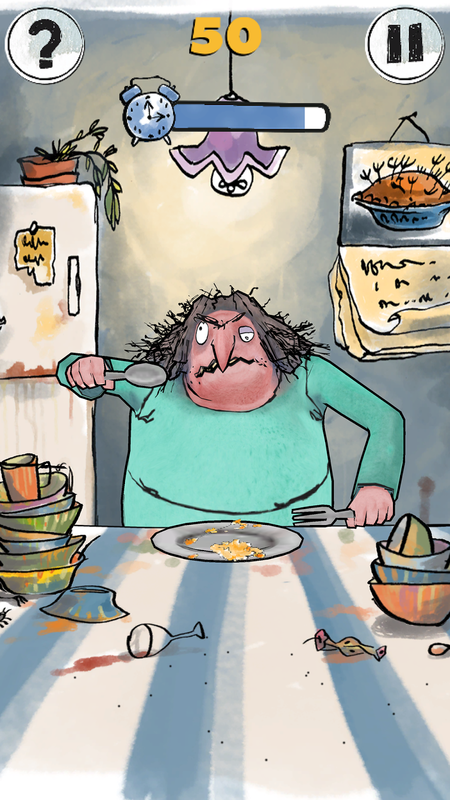 I started last night and really wish he hadn’t had to take his phone to work as I am looking forward to getting hold of Mr Twit. So far I am on Level 7 and have been able to get my own back on Mrs Twit by poking her, waking her up and feeding her, tricking her by putting her in the cupboard and pouring water on her head and helping the monkeys- but then we had a power cut and I lost my internet connection so had to stop playing! I am hoping when Dad gets home tonight I will be able to carry on with the game and get a turn at making Mr Twit pay for his mean treatment of the monkeys- I think it is only 2 more levels until I unlock him! 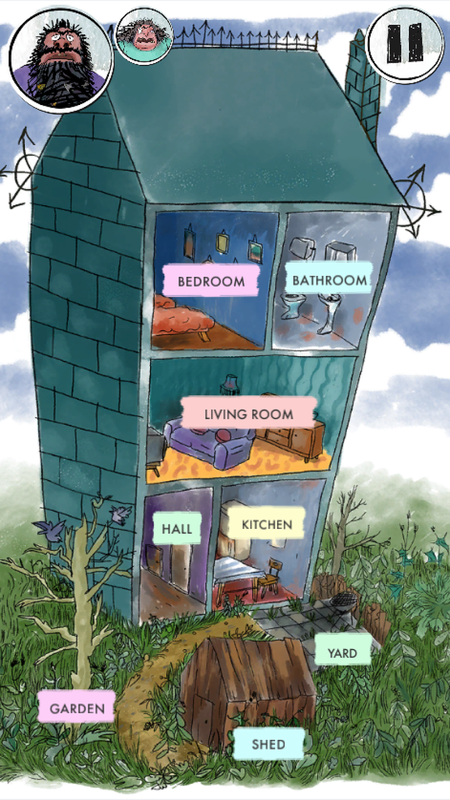 I am looking forward to level 8 where it goes into the bathroom- I hope I might be able to put Mrs Twit down the toilet and level 13 when I get to go to their bedroom and cause trouble! This app is so much fun and perfect for any Roald Dahl fans but also great for anyone that just wants a good game to play. Why not have a look yourself- watch the trailer here. You can buy the app here and at just £2.99 it is well worth it. I think this is ideal for children age 6-10 and will be showing it to my friends who will all love it too. 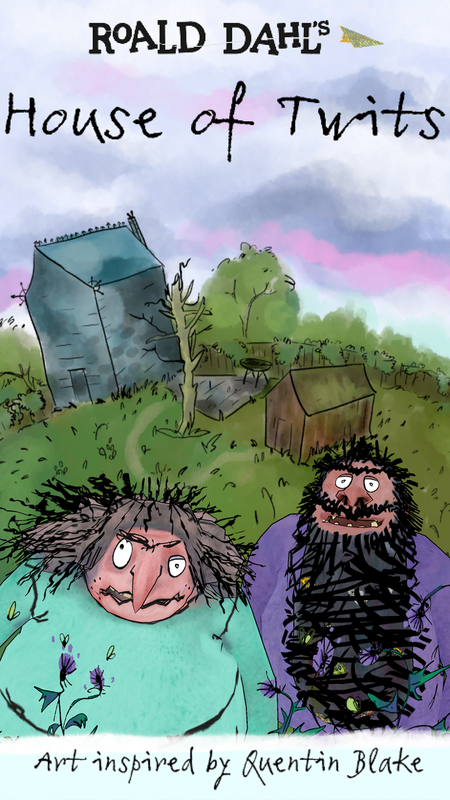 It is a bit gruesome in places but Mr and Mrs Twit definitely deserve it!